Things have been going ok, im doing my best to stay out of trouble and with the help of butterfly kiking until 2 am to talk me through my bad days we are getting there. charlie has been more consistence, but we do still have problems communating with each other. I dont know how to overcome this. anyone have any advice that would help? i may have to end my blog charlie doesnt want me blogging so if it does disapear you know what happen. Well I did it again, If I dont get what i want or need I end up throwing a fit and dont know when to shut up, I just keep on and on until I make him so mad. I wait until he goes to work then I text him and he hates texting he wants me to talk to him face to face and I did try but it went no where so I text he cant ingore me then. This time I thought I pushed him to far he said he was done. I was so upset I didnt know what to do, then I got a kik message from butterfky and we kik until 3am she made me feel so much better she gave me lots of advice and i took her advice and texted charlie and told him I was sorry and he said he forgave me. So that was a start, so now what do I do. Im not going to push him anymore, im not even going to mention dd to him im just going to submit and take it one day at a time and the next time I feel like screaming ill be kiking my sister, thanks butterfky. Oh the next day was his night off I waited and waited hoping he would just punish me, well it was 2am before he finaly said anythng and he did punish me hard and again friday he gave me a reminder and a punishment for breaking a rule. I still have not mentioned dd and i wont unless he does first im just going to submit and not push it on him. We have been moving all week to another house, so dd has was put on the back burner ,we both been tired and i hurt in places i didnt know i had. We are finally about settled in so last night charlie says the program is back on and ill be getting a reminder in the morning and my weekly mainentence later that day. He works 3rd shift so when he got home thur morning at 7.30 am before i had my coffee he followed through with the reminder and a few extra ones he owes me that i have built up so much he decided to just to add licks until i got all that i earned. But anyway this morning reminder woke me up, there should be a rule no spanking before coffee, i mean come on i was still sleepy. I think it hurt worse than one later in the day, plus i havent had a spanking in a week. So im protesting for all the tihs no spanking before coffee. No matter how much i try i just cant give up. I get depressed, and upset and cant think about nothing else. When i get upset i end up saying stuff i shouldnt say. I started out just trying to ignoring charlie but he ignored me back and that made me mad, i hate being ignored . So wednesday night when he went to work i started texting him, i called him names and said stuff i shouldnt have said. He started ingoring my every text so i called him. He was so mad by then he ended up hanging up on me so i called him back again. After we both calmed down we talked and decided to start this thing all over again. So with new rules in place and promises of sitdowns and communicating here we go again. He was still mad about the name calling and said so, and told me when he got home i was getting punished. Yea he kept his word on that, i think that was about the worse spanking ive had. Then was told i was getting a maintenance later on that day and every thursday after that plus reminders every morning until my attitude changes. So we gonna take this one day at a time and im gonna do my best to have patience with him, and try not to have no more outburst on him. We both want this and i know we can get through this and im not going to top from the bottom but i will go on helping him learn and looking online for information but im not going to overwhelm him. All couples are different and we have to do whats best for us. 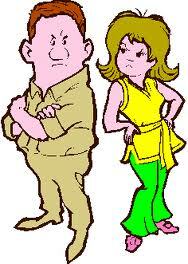 Only you know your spouse and how their mind works so what works for others might not work for you. So its like im kinda training my hoh ive read more info that he has and have explianed stuff to him . He is not very computer friendly oh but he sure knows how to go to facebook and play games lol. But other than that hes clueless. I have bookmarked chat and stuck it in his toolbar so he can have easy access to it. He dont even know how to email lol. So i know if i dont help him learn he has no other way. So you got to do what you think is best to help them learn but without topping from the bottom, if you have to be their coach in the begining i think its ok. I mean give a man a paddle and tell him to spank you who has never spanked no one in their life and then you will want to give them instructions lol. I learned the hard way lol. But he is learning, we both are, it just take time and they will be ups and downs, thats when you have to use your patience. And it helps to have someone to talk to, I love my chat friends they are very supported. And i have to thank one special friend Bob, he has helped us alot, Thanks Bob for putting up with me. Yea it one of thoes i give up days. As you know from my last post im still waiting. Well last night charlie goes to work no mention of the spanking i was suppose to get. And chat last night was about is it ok to use technology to communicate with you spouse. Well i have a hard time doing face to face so i sit here last night and waited until he left and was sure he was at work and i then kik him. I told him he was free that he didnt have to do dd anymore and the game was over and he won. Thats how i feel like he thinks its some big game we playing and he only wants to play when he feels like it. Well to me dd is more than that, when we first started it was more or less all about control and spankings, but since then after researching and chatting with friends i have learned dd is more than that and i want all that goes with dd. How do i make him understand? When i break a rule or disrespect him and he lets it go or threatens me with a spanking then doesnt follow through. We been doing dd for 5 months now and it dont seem to be going nowhere and it leaves me feeling depressed and fustrated. He always has a excuse his latest one is he afraid the neighboor will hear us, well duh we been doing it 5 months if she hasnt heard by now shes not going to. So do i just give up dd? oh by the way i hide the implements last night also, yea i was mad. I dont know to keep trying or just give up. We really have communation problems.